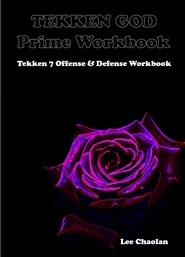 "Paul Phoenix" The Tekken God Prime workbook is designed for gamers who want to build DEFENSE and or OFFENSE to become a "Tekken God Prime" and compete and win in professional tournaments. In this Tekken God Prime workbook, you will learn the essentials of high level Tekken mastery through concise lessons. Learn frame data, unsafe strings, safe moves and unsafe moves. This series is ONE character specific and requires answers to the diagrams to maximize your retention and execution in live matches. 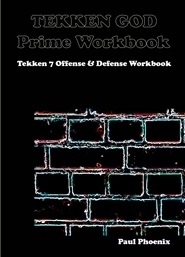 The Tekken God Prime workbook is designed for gamers who want to build DEFENSE and or OFFENSE to become a "Tekken God Prime" and compete and win in professional tournaments. In this Tekken God Prime workbook, you will learn the essentials of high level Tekken mastery through concise lessons. Learn frame data, unsafe strings, safe moves and unsafe moves. This series is ONE character specific and requires answers to the diagrams to maximize your retention and execution in live matches.